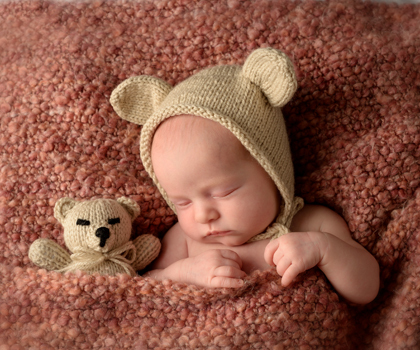 We like to schedule newborn sessions between five and ten days after birth. Although we can photograph newborns at any age, during this time babies sleep more soundly and curl up into those adorable, womb-like poses. 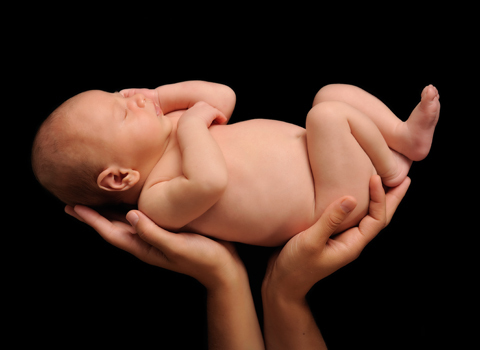 Our primary consideration for your newborn is comfort and safety. Our studio is warm to keep baby comfortable. All wraps, props and blankets are freshly cleaned before they touch your baby. We will never put a child in a pose that is dangerous or harmful. Some of our portraits you will see are digital composites. Kathy maintains her Child Safety Certification. 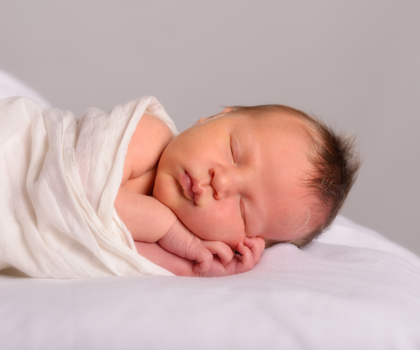 You can be assured that your baby will be kept cozy and safe throughout the session. We schedule two hours for a newborn session. Posing a newborn takes time and patience. We work gently and slowly. We plan for baby’s comfort, knowing that a full tummy equals a happy baby. So we schedule time for feeding as well as those inevitable diaper changes. We ask parents to make themselves at home and we will provide snacks, drinks and comfy chairs so you can watch the portrait session (or read or take a nap!) and be relaxed and comfortable, too! We have many wraps, props, hats and clothes so you don’t need to bring a thing. But if you have a special outfit, blanket or toy, for example a special gift or a handmade blanket, we encourage you bring it along to make a picture more personal. We will do our best to accommodate specific themes or color pallets that you may have in mind. 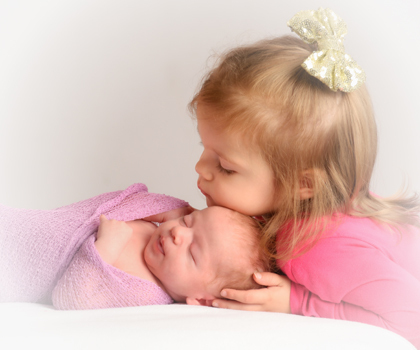 We encourage family to be part of the newborn’s session. We ask parents and siblings to wear simple clothing in solid colors. We have a number of ways you can display your baby’s finished portrait- from wall art, canvas and albums to jewelry and gift items for your family and yourself! This all inclusive package will preserve the beauty of your child’s first days and provide you with art for your home and gift portraits to share! Preview set in folder (4x6 prints). We include social media files of your ordered portraits. We offer many other options as well as a la carte. Gift certificates are available.